Two words: buffet brunch. Our family loves buffet brunches and whenever Arshad and I would spend the weekend back in KL, this is definitely a must-do. Mum and Dad have countless membership cards for buffet brunches in hotels and even for credit card activation, this is one major consideration. Of course, Arshad and I are more than happy to ride on and use the memberships to our hearts’ (and tummies) content. Last weekend, we went back to KL for a quick weekend break to celebrate Mum’s birthday. Since it’s her birthday, she had dibs on where we will celebrate and so Mum recommended we all go to Lemon Garden Cafe’ at the Shangri-La in KL. Lemon Garden closed for months late last year for renovation and was just newly reopened so we were all excited to go. name. We arrived around lunch time and the place was packed! I guess it wasn’t just us who were excited to go back and try it. Arshad and his happy face: seafood! I’m glad to report that Lemon Garden has all so I’m one happy pesco-vego Bella! The seafood station was excellent and the oysters were HUGE. The oysters didn’t have anything grainy-sandy when you eat them so they were carefully, professionally pried open and shucked. Don’t even ask how many plates of oysters I wiped out! Aside from the oysters, the rest of the seafood offering were also notably fresh: scallops, mussels, clams and king prawns. My next favorite in buffet brunches is the cheese spread. Although the cheese selection was quite limited, it had emmental (my favorite) and camembert by default. The rest of the cheese (I don’t remember all of their names) were exquisite-tasting, ranging from light and soft, to hard and flavorful-strong. My cheese and seafood platter were perfectly paired with Cloudy Bay, my default go-to Sauvignon Blanc from New Zealand. Unfortunately, the buffet brunch did not have an option for unlimited wine and champagne. Drinks were charged extra, but the restaurant had the usual decent wine and sparkling offerings on their menu. The rest of the buffet spread was interesting. There was an area for roast chicken and duck. Although the duck ran out, Mum talked to the chef if it’s remotely possible to get another duck from the Chinese restaurant and they actually obliged! Yep, Mum has the gift of persuasion and Arshad was one happy camper! Other dishes included dimsum, noodles, fish, roti and dahl, curries of all kinds, pasta, soup, salads, cold cuts and a lot more. Another notable highlight is the dessert spread. The desserts were very good, from the cakes and ice cream to the local sweet fare: ice cendol and what do you know? They have durian cake! Durian is not for the faint of heart and since I’m one of those who actually enjoy it, I tried a slice of it which Dad actually reserved for me before it ran out. It was delicious with just a hint of durian flavor so it wasn’t overwhelming. It was perfect! One tiny hiccup they had was the waiting time spent to get our bill. I don’t understand why, but we had to ask several waiters (not one, not two, but three!) to get our bill and it took them 45 minutes to send it over. Most of the customers were gone already by the time our bill was sent! Sans the bill fiasco, it was a pleasant experience overall. Food was fresh, delicious and spot on. It was pesco-vegetarian friendly and with what we paid for, it was definitely worth it. The buffet can be had at RM 140 per person, but our credit cards had a 50% off promo so it was just RM 70 per person for us. Even without the discount, it’s just P1,580++ or USD 32 roughly and for a buffet with an exhaustive spread, shut up and take mah money (or my husband’s)! Will we ever go back? The question is: Why the hell not??? Smoking is not permitted in Lemon Garden. This list doesn’t include the short trips that we normally make en route to Manila, KL and Singapore for weekends. Sounds all exciting, doesn’t it? I am excited – super! The thing that worries me and gives me anxiety is the lack of time to research and prepare for the trips in a leisurely way that I want to. See, I’m a traveler at heart. It’s one of the major reasons why I decided to be an expat since traveling comes with the job. But the job also comes with long hours, 10-12 hours per day on the average, which either leaves me exhausted after a long day or requires me to fit my other activities in a very tight timeline: workout, bank errands, grocery and all the other usual daily grind. And unlike some of my friends who became successful travel bloggers, I have a full-time job that takes me away from my passion for traveling. Don’t get me wrong, though. I love my job and the career that I have, which is also why I never had the intention of giving it up for other equally important passions. That, and it pays for the trips and the expenses that go along with it! For this blog entry, I specifically wanted to write about planning. For me, part of the joy of traveling is in the planning itself! The anticipation of traveling is what keeps me from being a trainwreck despite my crazy work hours as of late. Bank references and bank statements – requests will have SLAs of 2 days to a week. Visa appointment – depending on the country, some visa appointments, like for the US or the UK, can take 2-3 weeks to schedule. Employment certificate – depends on how fast your company can provide this, but usually a day or two. Confirmed flights and hotels – some countries requiring visas will also require that the plane tickets and accommodations have been booked and purchased. You definitely need to sit down on this to compare prices, book and buy. At the same time, comparing accommodations, researching about restaurants, museums and activities require time. The longer the trip, the longer amount of time is required to prepare for it. For a European or US trip, I give myself 2-3 months to prepare and research, and this is crunch time already. For trips in Asia, a month is usually enough. 2. Prepare to steal moments from your day-to-day routine to do some online research. Busy women like me fantasize about a lazy Saturday morning where we can just sit down, have a cup of coffee while browsing online to research. For most of us, though, ain’t gonna happen. There will always be pressing matters. Whoever said, though, that there aren’t pockets of time in a day when this can be done? Reality is, we live everyday in a frenzy. If research must be done: beg, borrow or steal some time. In my case, I wake up half an hour in advance in the morning to do this, or I shorten my lunch break, lock myself inside my office and hit Google. If you’re stuck in traffic, thank God for 4G LTE so you can research faster through your mobile phone or tablet. 3. Lists. Lists will save you. Prepare checklists for almost anything and everything related to travel preparations. My personal favorite is to use Evernote and I have a notebook inside categorized as Travel. I have a checklist of requirements needed for a Shengen visa, so everytime that I need to renew or apply all over again, I have my Shengen list as reference. I also have a comprehensive checklist of items and clothes to bring depending on what kind of trip, where I am going and when. For example, I have a default checklist of summer essentials and what to pack on a beach trip, while I also have a checklist of what to pack for a Europe trip during autumn or winter time. It may sound extremely OCDC, but for seasoned travelers, it helps to have a default checklist to go back to, and seasoned travelers already know that there is a pattern for most kinds of trips, whether for backpacking, beach trip or cross-country. 4. Find a travel buddy who you can share the workload and planning with. Faaaaaaayn, I get away with it because my husband is an efficient travel planner. We make an effort (well, he makes the effort) to sit down and discuss our options: travel dates, whether to book a hotel or use AirBnB, what activities to do, etc. When traveling with friends, assign the tasks. In my circle, we usually assign tasks depending on what we’re good at. Someone with a huge credit card limit can book the plane tickets, another one can plan the itinerary and someone else can research on which Michelin star restaurants to try. My specific competence, for obvious reasons, is planning trips for Indonesia and Malaysia. At the same time, since I’ve done the rounds for vineyard tours and whiskey flights, so they normally leave these things up to me. 5. Package tours. For the lazy ones, the pragmatists or those who are really running out of time, package tours is always the way to go. Package tours will already have everything: transfers, guided tour, food, detailed itinerary and even prepaid entrance tickets for museums, churches and other places of interest. The tour package approach, though, is not for people who want to try traveling off the beaten path. This is more for those who prefer organized travel with less risks of uncertainty. For some, it can be a safe choice, but not as exciting and not as spur-of -the-moment. 6. Digitize and appify. Thank God for Google and all the emerging travel-related apps that can simplify research! They make life less complicated, saves me a lot of time for research and I can store everything on my mobile phone or notebook! Time Out – one of my favorite city guides on art, entertainment, food, drinks, film and even theater. Go figure why I like it! 7. Lastly, find joy in the experience of planning a trip. It’s very simple. What you find pleasure in, you will always make time for. Cliche’ but true: It’s the journey, not the destination. And part of the journey is planning the trip. To the busy Bellas with wanderlust that never goes away, have fun in planning and traveling. There will always be time for these things for us. Come hell or high water, off we travel! Reblogging this because I feel the pain! Like Jennie, I have a Philippine passport, which means I need to apply for Visa pretty much everywhere! This is very timely for me, as I’m going through the same process right now for my annual European trip. As much as I love being Filipino, holding a Philippine passport is a hindrance to spontaneity for sure! So let’s say you wake up one morning and you’re inspired to go to…let’s say Paris. If your Schengen visa is still valid then by all means go. If not, well you’ll need to go through the whole application process and that’s not so inspiring but that’s just how it is. I recently applied for a Schengen Visa and no matter how many times I’ve applied for one, it’s never stress free. So here’s my latest visa application experience at the France Visa Application Center at Eco Plaza along Chino Roces Extension. I find it far more convenient to apply here at VFS than in the individual consulates. 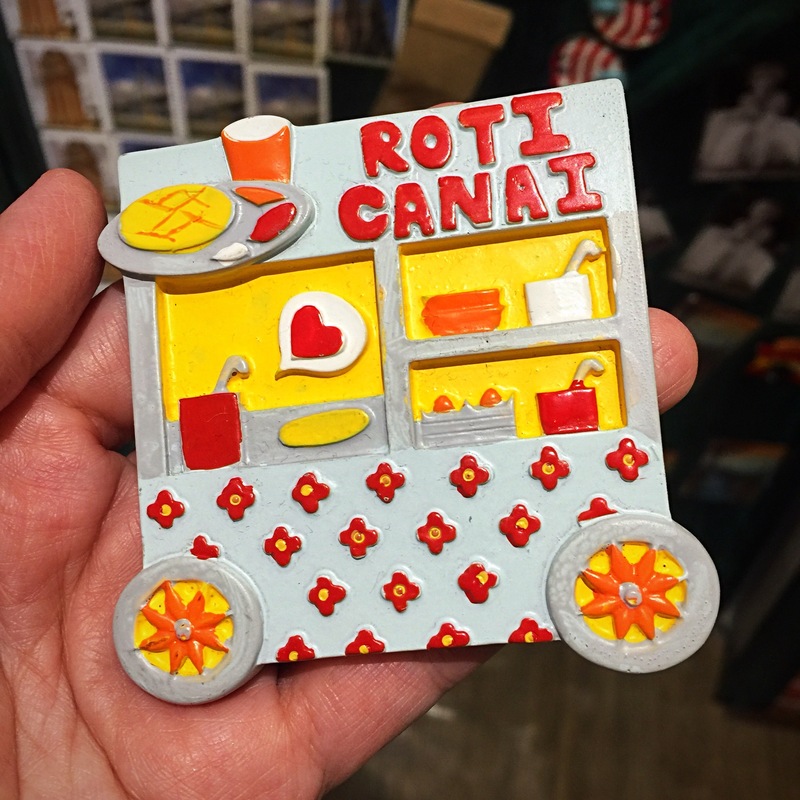 Roti canai magnet : perfect souvenir for a roti canai addict like me. Manila has spoiled me with a plethora of good cake shops and dessert places. Like I said in my previous blog post, I wasn’t really a dessert person, but I know how to appreciate a macaron or a sliver of cake…or two. Back home, I never clamored for cakes since cake shops were just everywhere! There were even pastry chefs who didn’t have their own shops but they have their own Facebook and Instagram accounts. You can just order from them and they can deliver right at your doorstep. It was a struggle to find a decent cake shop – dessert place in Jakarta. The cakes that I’ve tried in the past were either too sweet, too dry or too hard that you can throw it like a block and it won’t even disintegrate. Even the desserts in the usual hotel lounges and restaurants were blah. So I never really bothered for cakes in Jakartown anymore, until Tita Liza, our UP Alumni President here, brought us a Colette & Lola rainbow cake and a red velvet cake for two of our UP meetings. The rainbow cake looked so pretty I didn’t want to slice it. It was light and not too sweet, but it wasn’t a favorite of mine. In our Induction of Officers at the Philippine Embassy, Tita Liza brought a red velvet cake (see my last blog post). I was hooked from there! The red velvet cake was light and the frosting was creamy and flavorful, but not too sweet. Yep, I did the unthinkable: I had a second serving! Both cakes have piqued my interest so one fine Sunday afternoon, after a soccer event, I asked ze Hubs to take me to Colette & Lola in Senopati since it was nearby. The shop looked very dainty and colorful, which reminded me of my daughter Abby. She will love this shop! It wasn’t big but it was cozy – the chairs and tables were designed to make you stay, enjoy every bite of your cake while sipping a mug of their creamy latte’ and reading your latest novel. They also had merchandise for sale: book bags, notebooks, pillow cases and aprons. Arshad and I tried two of their small cakes and they didn’t disappoint. I tried their Operaccino while Arshad had the tiny version of the Lola Bar. Both cakes were moist with just the right amount of sweetness. The Lola Bar had peanut butter in it too, which can be perfectly paired with an espressso or a tall Americano. The Operaccino had the right amount of chocolate and caffeine. It was good, but red velvet remains to be my favorite. I wanted to order the red velvet cake again but only the big version was available. The staff told us that we should try the Ovo Milo next time, since this is one of their bestsellers. I intend to try their macarons, too. Their big cakes are beautiful, to say the least. Now I know where to get pretty and tasty cakes for my friends’ birthday celebrations. Colette & Lola’s big cakes, but no hearts for me, please! Colette & Lola delivers in the Jakarta area and it even has an online shop! For their hotline, you can call +621-2900-7997. They deliver for free if the purchase is above Rp350k. Colette & Lola is definitely a 5 stars experience that is a must-try! I’ve been searching far and wide for the past 15 months or so where the best cakes are here in Jakartown. Finally, I’ve found Colette and Lola. Their red velvet cake is highly recommended! Will blog more about their cakes this week!